A few years back I had the pleasure of meeting Esther Lou, a Chinese-American woman who has a ministry to kitchen workers in the Chinese restaurants of Los Angeles. She calls herself a ‘restaurant shepherd’. 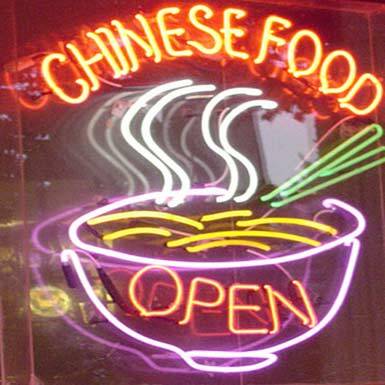 Industry statistics tell of more than 1 million immigrant labourers working in some 42,000 Chinese restaurants in the US. According to Esther, many of these workers speak little or no English, are at the bottom of the social scale among their own ethnic community, often work 12 hour days, 7 days a week, and, if they are in the country illegally, have no access to labour unions or social services. To cope with their circumstances, many fall into gambling, drugs and alcohol — even prostitution. In an interview about her work, Esther is quoted as saying, ‘In every kitchen, there’s always the same tired old man hiding in the corner near the stove that is his life.’ She tells of the Taiwanese pot washer who laboured for long hours, 7 days a week for 30 years to support his family. When he died, Esther says, she asked his two daughters to speak at his funeral, but they couldn’t. They said they hardly knew him. Indeed, Lou says that people in this business speak of a regimen they call ‘going from the pillow to the stove.’ There is no other life for them. Staff writer for the New Yorker, Bill Buford was commissioned to write a profile of celebrated New York chef Mario Batali. To do so, Buford wrangled his way into Batali’s kitchen as his ‘slave’. Eighteen months later, Buford had progressed from lowly kitchen hand to line cook, along the way spending time in Italy with the people who nurtured Batali’s skill and passion–learning the craft of pasta making in a hillside trattoria and the art of butchery in Tuscany. 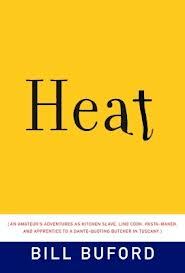 Heat is a fascinating book, masterfully written, full of the most gratifying kitchen voyeurism, endearing characters, intelligent reflection and priceless insights into the complex world of food and why it matters. I like it! When I started, I hadn’t wanted a restaurant. 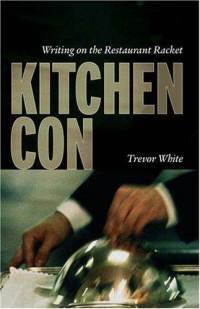 What I wanted was the know-how of people who ran restaurants. I didn’t want to be a chef: just a cook. And my experiences in Italy had taught me why. For millennia, people have known how to make their food. They have understood animals and what to do with them, have cooked with the seasons and had a farmer’s knowledge of the way the planet works. 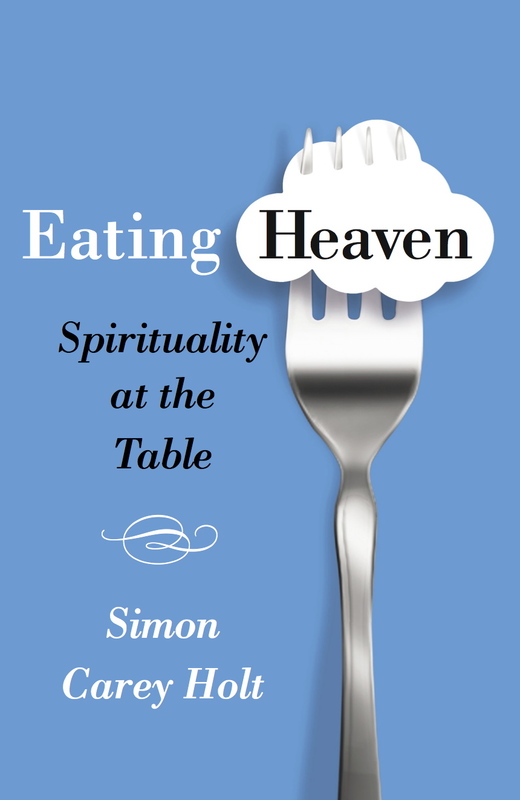 They have preserved traditions of preparing food, handed down through generations, and have come to know them as expressions of their families. 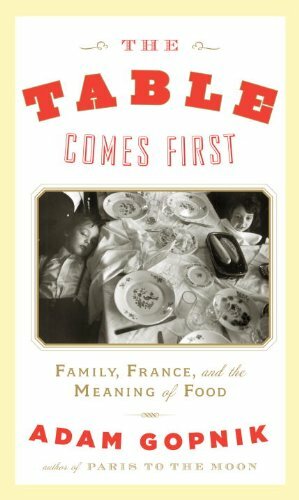 People don’t have this kind of knowledge today, even though it seems as fundamental as the earth, and, it’s true, those who have it tend to be the professionals—like chefs. But I didn’t want this knowledge in order to be a professional; just to be more human.